I feel like a traitor, but I am a LA native who would take Shake Shack over In-N-Out any day. Feel free to call me spoiled, but I had the luxury of growing up with In-N-Out whenever I craved it. In high school, it was almost a rite of passage, having your signature “secret menu” order that the upperclassmen could pick up for you with their car privileges. For me, it was an animal-style cheeseburger with both grilled and regular onions, extra crispy fries, and a Neapolitan shake. I remember always wanting to get a Summer job at the one right next to UCLA, because they paid more than any other fast-food job and it was constantly packed with cute college boys. When I left to attend NYU for college, my East Coast friends would beg and plead to come home with me for the holidays and demand that our first stop in LA be at the In-N-Out right next to the airport. I maintained that In-N-Out burgers were always superior. Then in 2004, the game changed when I found myself part of the original staff that opened the very first Shake Shack in Madison Square Park. Leading up to the opening, chef Kerry Heffernan, who you might know from Top Chef Masters, embarked on a massive burger tour of the country trying everything and anything, included my previously beloved In-N-Out, to figure out how to perfect the Shack Burger. I might be a bit biased as I got to be there from the very beginning to see this burger shaped into the phenomenon that it has become, but after biting into my first burger that Summer of 2004, I knew I’d found a new love. While In-N-Out’s patty packs the flavor, especially with the bit of bite from the mustard grill, Shake Shack’s smash and grill technique creates a far superior burger with a great slightly crispy texture on the outside while maintaining a juicy and tender interior. And that’s before we even get to the ingredients. 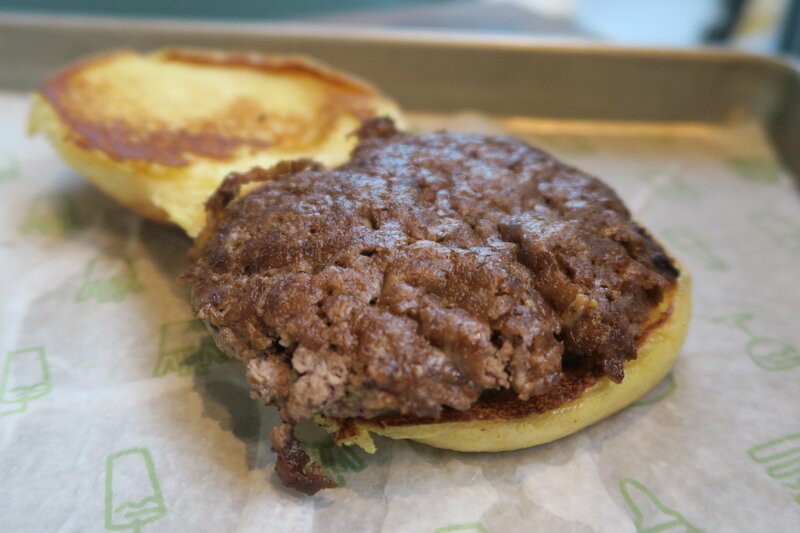 Shake Shack sources its meat from one of the best purveyors, Pat LaFrieda, and blends brisket, short rib, and sirloin into a patty that can’t be beat. The first season I worked the line, I was asked out constantly, and I’d like to attribute it to the intoxicating “eau de burger” that permeated my clothes and hair. 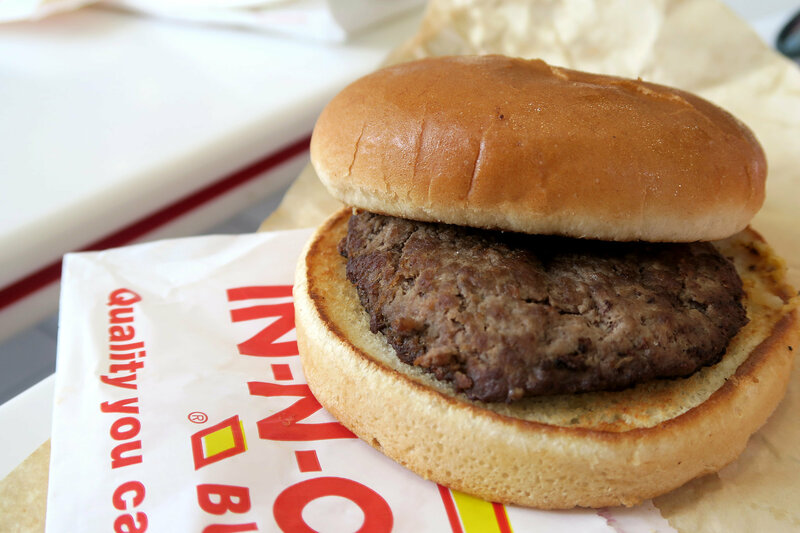 Comparatively, In-N-Out uses 100 percent chuck beef. 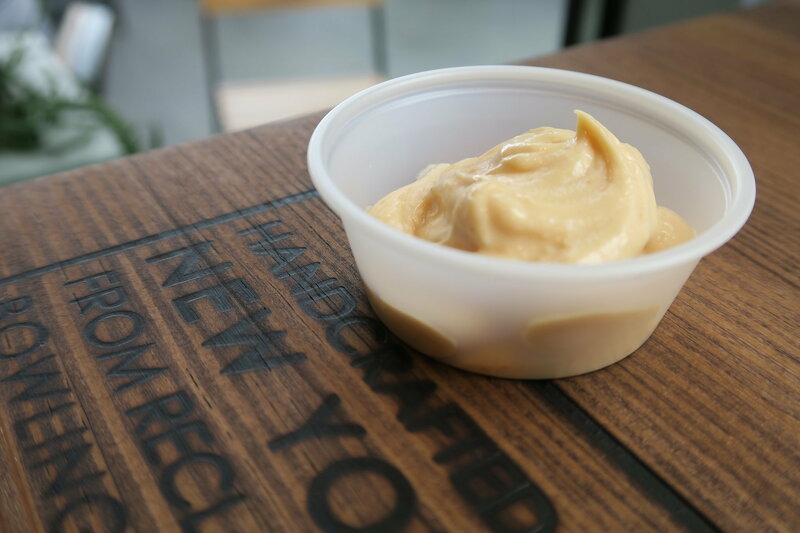 Like all good burger chains, both boast their own original secret sauce, a concoction similar to thousand island yet infused with their own variety of spices and flavors. 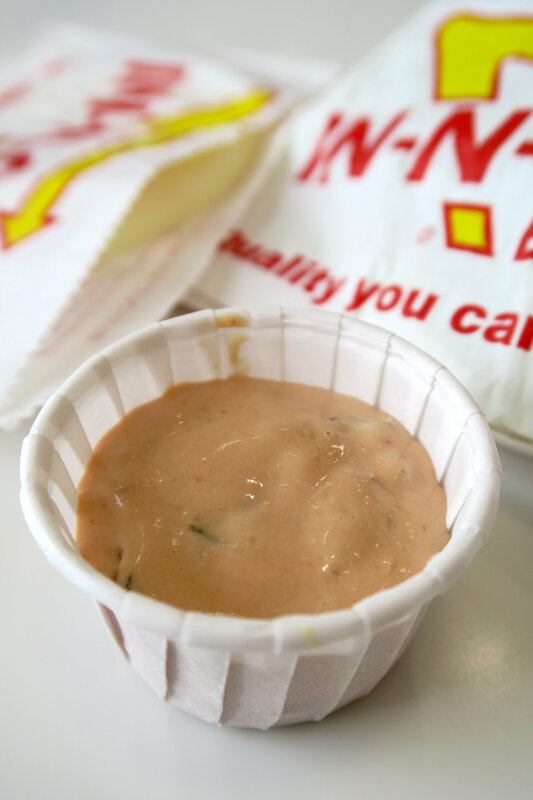 In-N-Out presents a solid offering, a prepackaged sweet and pickled pink sauce that does a good job of blending with the burger fat to create a drool-worthy drip that keeps you licking your hands for more, but I know the secret to Shake Shack’s, and it involves a little chipotle. Homemade mayo, two different kinds of mustard, tomato paste, pickles, salt, pepper, and chipotle! That extra kick of smoky savory is what really sets them apart for me. We used to bottle up the extra and eat it on pretty much anything and everything: french fries, pizza, late-night garlic knots, and dare I say even on the street cart dogs. If you’re not a fan of the potato bun, then there’s nothing to be said to this point. They’re different. In-N-Out features a generic, spongy hamburger bun, the run-of-the-mill stuff you find everywhere, that’s toasted on the grill. Shake Shack’s is a soft, buttery potato bun that’s slathered in even more butter and then griddled to a crispy perfection. Now tell me that one doesn’t sound better than the other. For this review I’m sticking to the classics. 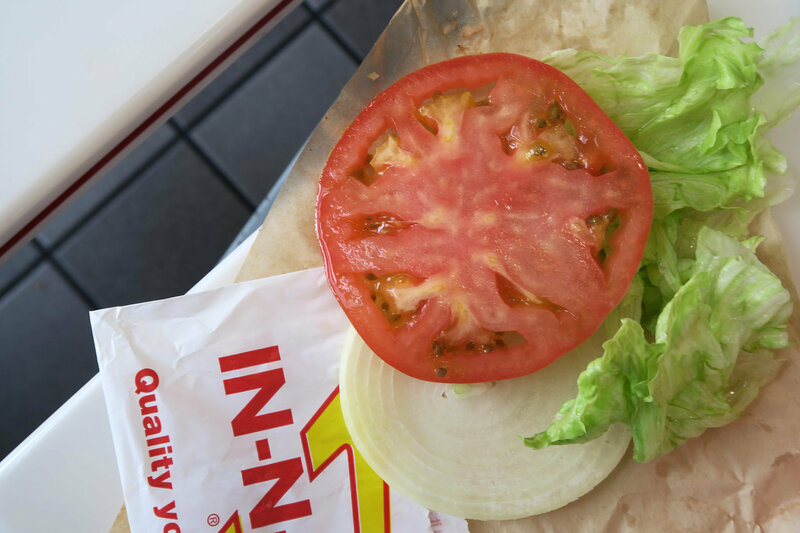 Both burger joints feature fresh lettuce, tomatoes, and onions. 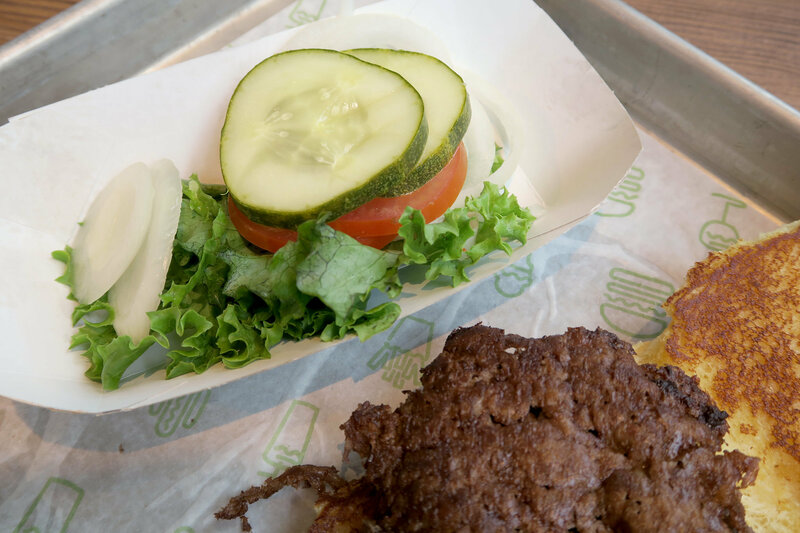 If you ask for all the fixings, Shake Shack adds two fresh, crisp pickle slices right on top. If you’re a pickle fan like me, they’re quite magical. In-N-Out does offer pickles, but you have to ask for them. 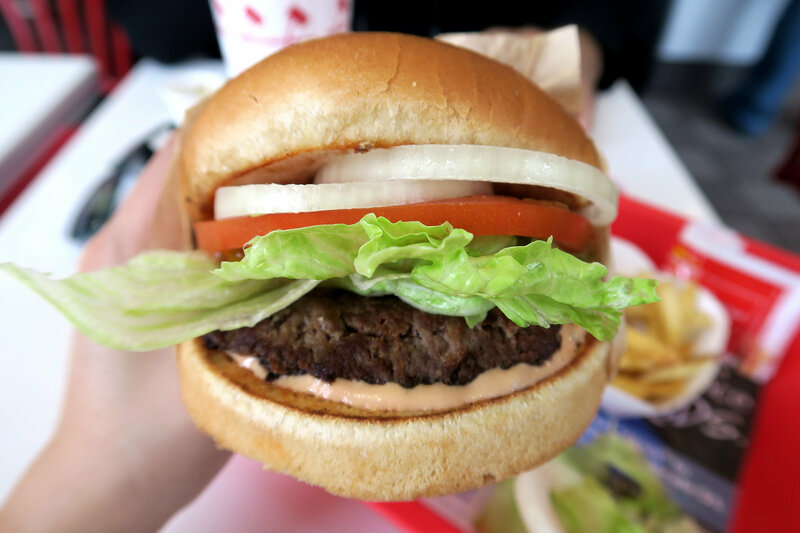 I do have to give one point to In-N-Out for adding on grilled onions, but I’m pretty sure you can now customize your Shack Burger to look the same. 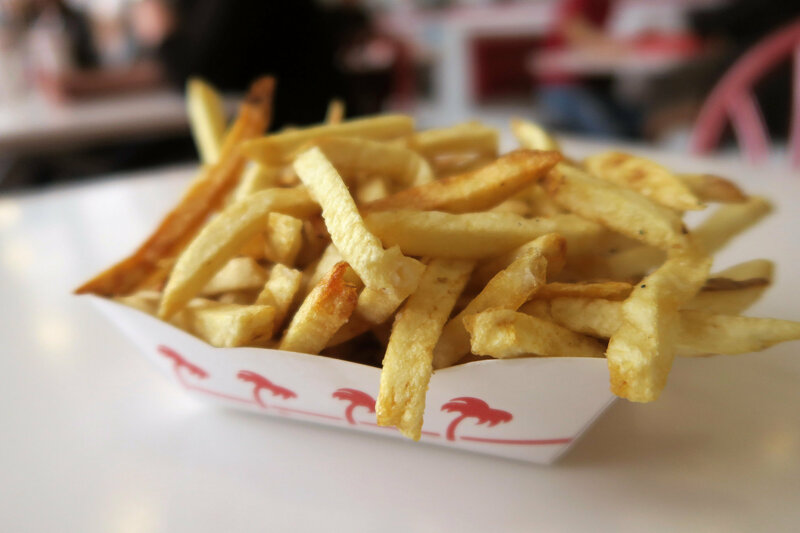 In my opinion, In-N-Out fries are just not good. I’ve never really liked them. I’ve dealt with them for the sake of the burger, but they’re perhaps the weakest french fry offering out there. 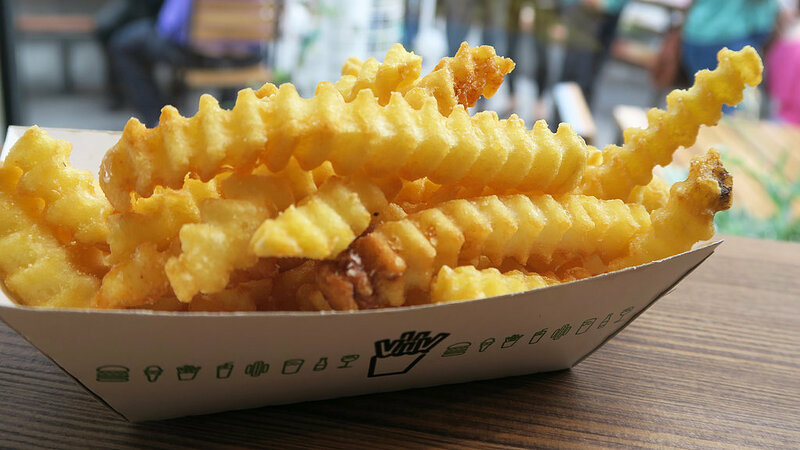 Shake Shack’s crinkle-cut fries might be of the premade, frozen variety, but they crisp up nicely and are the perfect warm conduit for dipping in a side order of the Shack Sauce, because to be honest, you can never get too much of that delicious pink stuff! I’m so happy that there’s now a Shake Shack just down the street (in LA), even closer to my house than In-N-Out. I dare say I might never go back to In-N-Out again. 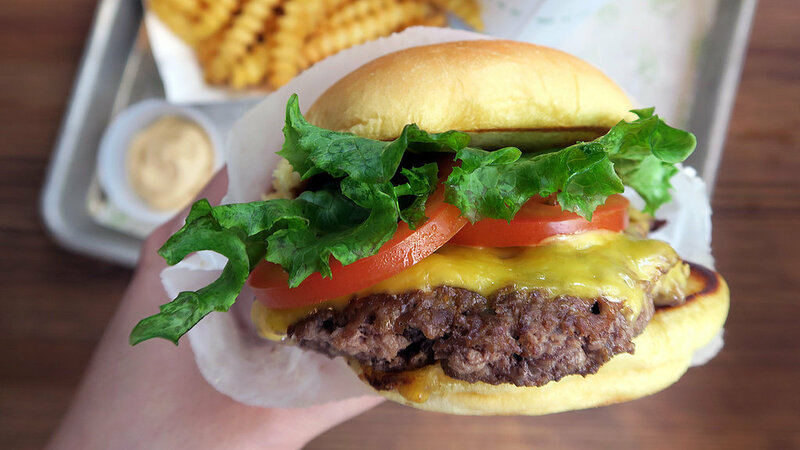 Just kidding, but seriously, Shake Shack is so much better. And if you’re not lucky enough to live in one of the few places that boast both burger joints, then take a look at our home hacks for both the In-N-Out and Shake Shack burgers.